The Amazon Japan sale and other promotion offers allow customers to enjoy various products at added discounts. These can be in the form of an Amazon Japan code or Amazon Japan coupon which can be applied at checkout. Note that if you received a concession promotion from Amazon Customer Service via e-mail that promotion was automatically placed in your account and will appear on the Order Summary page before you complete your order. To redeem an Amazon Japan sale or promotional code, enter the claim code on the Select a payment method page or on the Place Your Order page of the order form. Note that if you don't place an order at the time you enter the Amazon Japan code, the promotion will remain in your account until it is used or until the promotion expires. Be sure to enter the Amazon Japan discount code exactly as specified. Do not add spaces before, inside of, or after the promotion code. Verify that the promotion code was successfully applied by reviewing your Order Confirmation e-mail or by going to Your Account. If the total cost of the items you are purchasing exceeds the amount of the promotion, you will be prompted on the order form to provide your credit card information for the remaining balance. If you use a promotional certificate for a purchase on Amazon and then the order is cancelled, the promotional certificate will return to you to be applied to your next order. If you use a promotional certificate for a purchase on Amazon and then the order is returned for a refund, the promotional certificate will not be available for re-use, as promotional certificates are for one-time use. Customers shopping from Amazon Japan in Malaysia can enjoy several additional discounts and benefits when they buy via ShopBack. Here, one can not only view any available Amazon Japan discount code, but also get additional cashback with every purchase through ShopBack. In addition, you can also follow the brand on Facebook, Twitter and/or Instagram for latest updates. Malaysia Shipping Up to 1% cashback Enjoy over 20,000,000 products shipped to Malaysia directly! Amazon is a leading online retailer and has garnered widespread acceptance since it opened its virtual doors on the World Wide Web in July 1995. Today, it offers Earth's Biggest Selection, along with online auctions and free electronic greeting cards. Amazon seeks to be the world's most customer-centric company, where customers can find and discover anything they might want to buy online. The brand lists more than 28 million unique items in categories such as electronics, kitchen products, books, music, DVDs, videos, camera and photo items, toys, software, computer and video games, tools and hardware, and lawn and patio items. Amazon operates four international Web sites, with Amazon Japan being the latest addition. It also operates the Internet Movie Database (www.imdb.com), the Web's comprehensive and authoritative source of information on more than 250,000 movies and entertainment titles and 1 million cast and crew members dating from the birth of film in 1891 to 2003. Leading online retailer Amazon launched Amazon.co.jp, a Japanese-language site in October 2000, to serve Japan and Japanese-language speakers around the world. Amazon.co.jp entered Japan's market with a comprehensive books catalogue, offering more than 1.7 million Japanese and English-language titles and extensive editorial content. Japan is Amazon’s largest export market, with 193,000 customers and annualized sales of US$34 million. 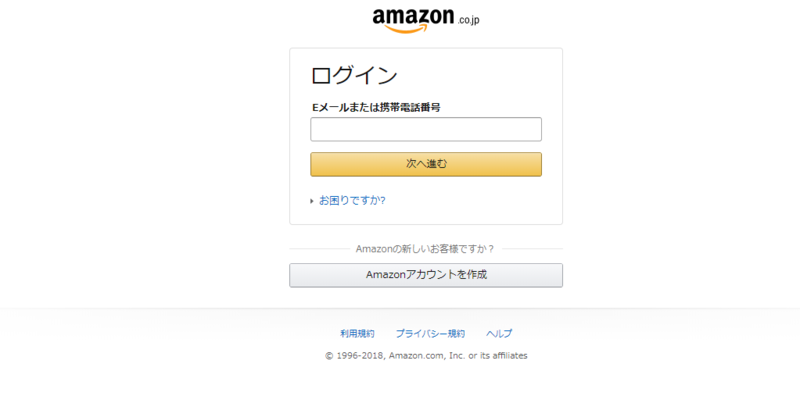 Amazon.co.jp is Amazon's first Asian-language site and its fourth international one. For those that do not speak Japanese, the translate function allows for an Amazon Japan English viewing. Amazon's operations in Japan include offices in Tokyo, a distribution centre in Ichikawa, Chiba prefecture, and a customer service centre in Sapporo, Hokkaido. Amazon Japan online shopping for any product is easy for everyone with its well-organized homepage and product categories. To shop on Amazon Japan, simply follow the steps given below. Step 1: On the homepage, browse the category and then select the subcategory to locate your product. You can also use the search bar to find a specific product. To enable an Amazon Japan English viewing of the categories, simply opt for the translate function. Step 3: If you want to add more products to your cart, you can continue shopping. To buy the products click on the cart icon at the top-right corner of your page and click on the ‘Checkout’ button. At this stage you will be requested to enter your account details. Step 4: Enter your delivery and billing details in the next form. From there, you will be redirected to the payment page. In case you have an Amazon Japan coupon code or Amazon Japan promo code, don’t forget to enter it in the box provided to claim your Amazon Japan discount. Enter your payment details and once confirmed, you will receive an order confirmation via email and your products will be delivered to you within the promised date. All payment options may not be available for customers located outside of Japan. Step 1: Visit the ShopBack website and click on the Amazon Japan store at the bottom of the homepage. You can also use the search box to find the link to the store. Step 3: Look for the latest Amazon Japan coupon code or Amazon Japan promo code in the Amazon Japan coupon codes, discount codes and promos section. Step 4: You will be redirected to the Amazon Japan website to browse and select the items. Amazon Japan delivers to several Asia and the Pacific countries including Malaysia at an additional charge. The delivery charge depends on delivery area and merchandise seller. The delivery time to Malaysia is about 2 to 3 business days and for Amazon Global overseas shipping it is about 6 to 10 business days. Please complete return or exchange within 30 days after the item arrives. After 30 days refund amount will be reduced by 20%. For items sold by sellers and shipped by Amazon.co.jp, there is no replacement. In case of unused and unopened products: Amazon Japan will refund the full price of the item price (tax included). In the case of an already opened item: 50% of the item price (tax included) will be refunded. Amazon Japan will not refund shipping fee or commission and gift wrapping fee regardless of the opening condition. In addition, the return fee will be borne by the customer unless you indicate exceptions individually. Clothes & fashion accessories, shoes & bags, watches and jewellery less than 300,000 yen (tax included) can be returned even after product trial. Amazon Japan will exchange the full amount of goods price (tax included), shipping fee, handling fee and gift wrapping fee or refund the same item. In the case of custom-made products, inscribed items, and re-sized items, Amazon Japan will not accept returns or exchanges regardless of the reason. In addition, if there is a statement that the product cannot be returned on the product detail, it will not be eligible for return. Also, depending on the product, there may be cases where unique return conditions are established which can be found on the product information page during checkout. Note: For product specifications and request for repair, please contact the manufacturer stated in the warranty card or instruction manual. For any assistance or queries, you can connect with the customer care team at 1800 3000 9009 and 81-11-330-3000.